As a busy mom of two young kids, I’m often running around during the day: shuttling my daughters to/from different activities, taking care of errands, managing this blog, etc. This means I often need to rely on convenient options when planning my snacks & meals. Luckily, with the delicious Ready Pac elevĀte Salads from Wegman’s, I can enjoy convenient meals that are filled with nutritious superfood ingredients! I love that elevĀte offers a wide mix of clean and functional salads! To complement my favorite salads, I love to drink my favorite infused waters (Lemon Blueberry and Cucumber Basil) and I’m excited to share the recipes for those waters today! I love that the elevĀte offers 8 different salads that are all made from natural ingredients! Some of the superfoods in the salads include ancient grains, plant-based proteins, nutrient-dense greens, nuts, legumes, and seeds. These items contain plenty of omega 3 & 6 fatty acids and naturally-occurring vitamins and antioxidants. What’s even more impressive is that many of the salads are Organic or Gluten Free! 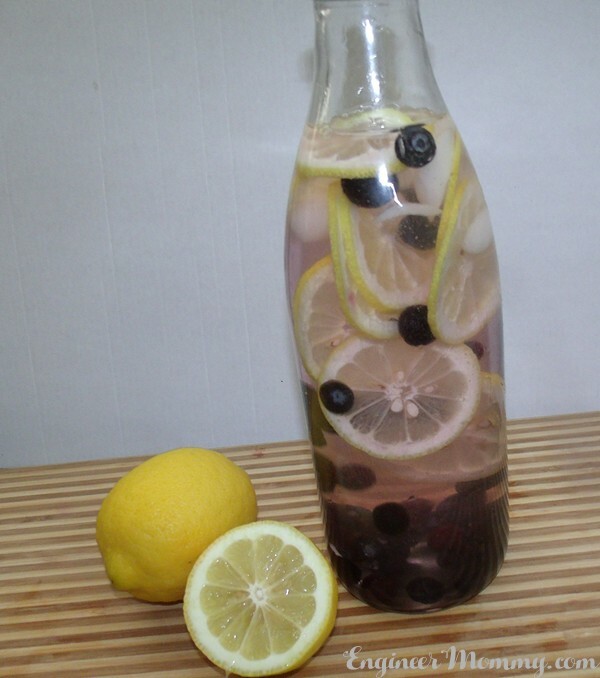 The first infused drink I’m going to share with you is my Lemon Blueberry Infused Water. 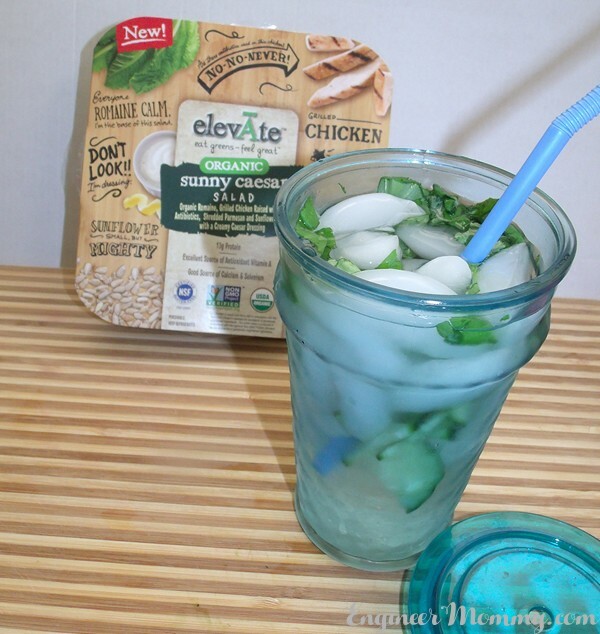 It’s so easy to prepare and is a refreshing, delicious way to stay hydrated throughout the day. 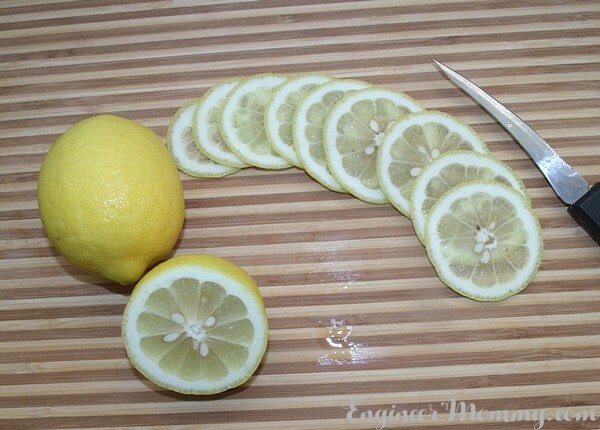 Start by using a sharp knife to cut thin even slices of a lemon. Wash a handful of blueberries. If you don’t have blueberries in the house, feel free to use any berry. Strawberries or blackberries would also be delicious in this drink! 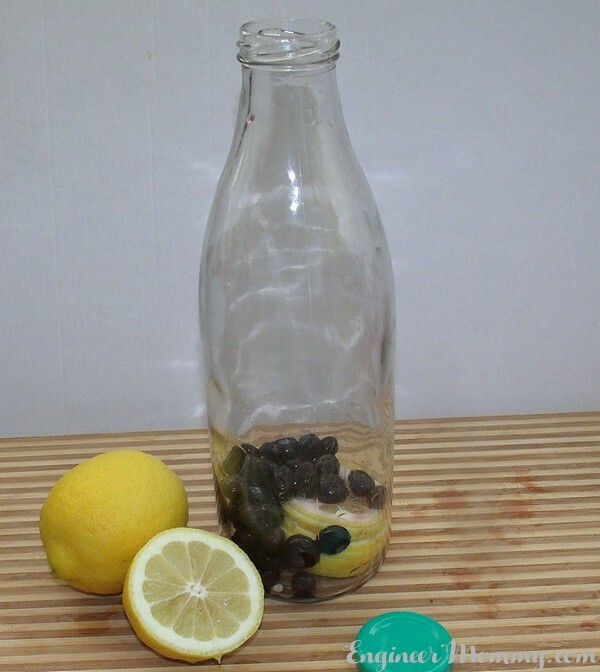 Add the lemon slices to the bottom of a glass bottle. Squeeze them a bit to get some of their juice out. 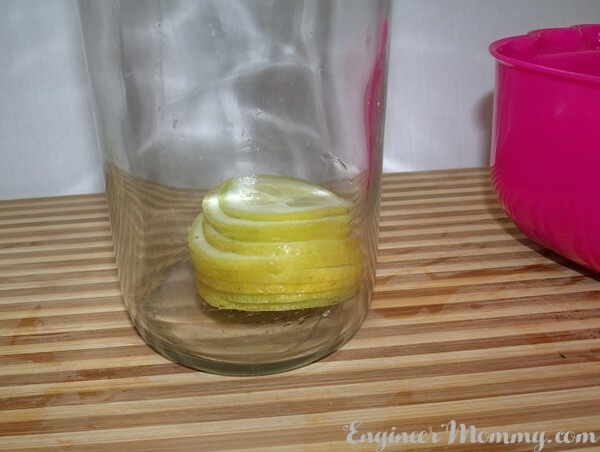 *Tip: If you microwave the lemon for 10 seconds, you will be able to extract more lemon juice easily! Top with the blueberries. Muddle them a bit with a long spatula or spoon to soften them. Add ice & water and shake! If you prefer it a little sweeter, feel free to add a little honey or agave nectar. I left mine unsweetened. I like the delicate sweetness from the blueberries! I like to prepare this drink the night before I plan on drinking it, so by morning, the flavors have combined beautifully and are delicious together! 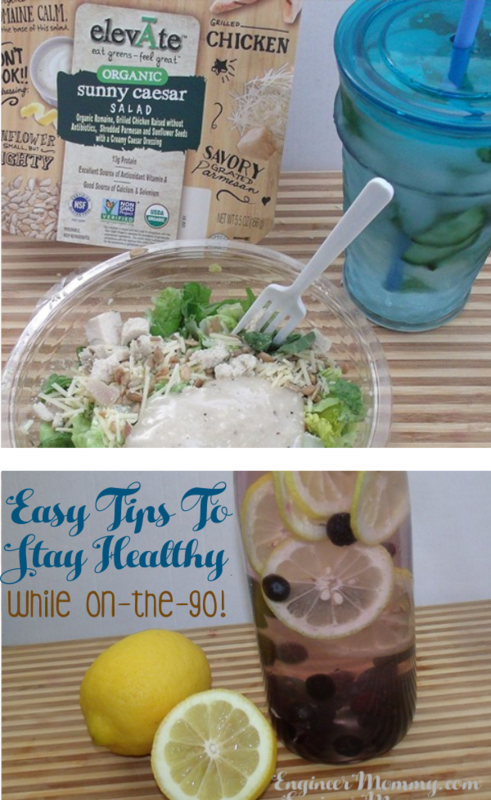 This Lemon Blueberry Water is a convenient way to quench one’s thirst when on-the-go! Another way I make my life easier when I’m out and about is by bringing along a Ready Pac elevĀte Salad! 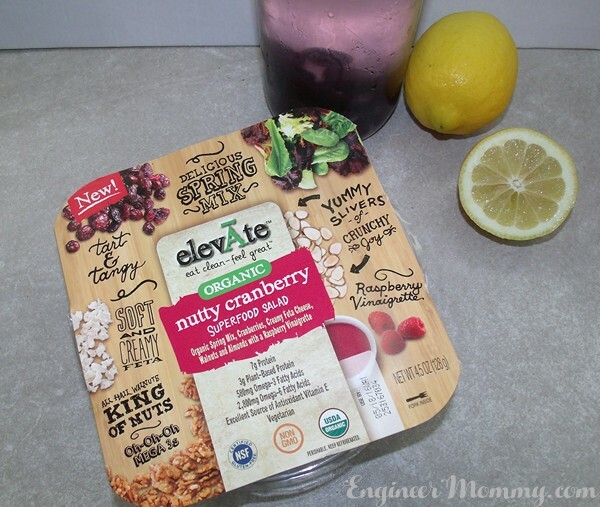 This Organic Nutty Cranberry variety is delicious & flavorful! I love that all the components and the dressing come with the salad! They’re in dedicated compartments so everything stays fresh & crisp. It even comes with a cute little fork! How convenient! The elevĀte salads have ingredients that are rich in antioxidants, high in omegas and full of plant-based proteins. With elevĀte salads, health & happiness is part of the equation! Try a salad and you will feel inspired! Once I add the dressing, this salad is ready to enjoy! It offers a delicious, gourmet flavor profile that’s super convenient to take anywhere! Did you know that when it comes to the elevĀte salads: 5 of the 8 are USDA Organic and 3 of them include Antibiotic-Free chicken? Do you have special dietary needs? You’ll be happy to know that 7 of the 8 elevĀte salads are Gluten-Free, 3 are vegetarian and 1 is 100% vegan! A second drink that I like to make and take with me when I leave the house is my Cucumber Basil Water! This one is also a breeze to make! 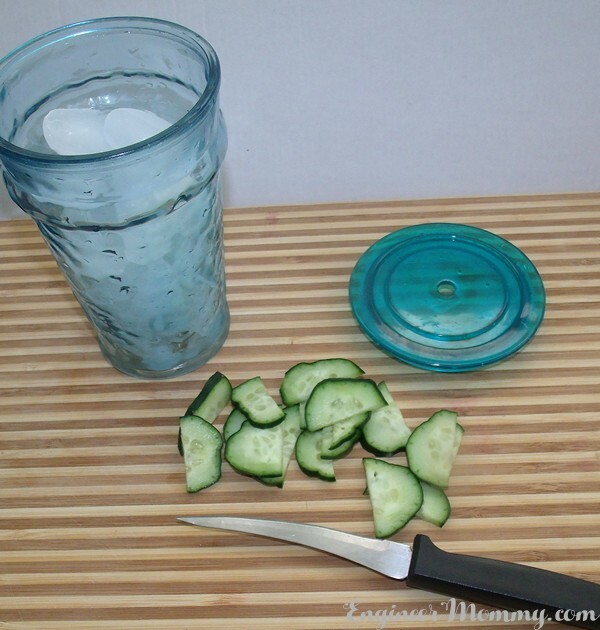 Simply slice up some cucumbers. Grab a bunch of basil leaves. 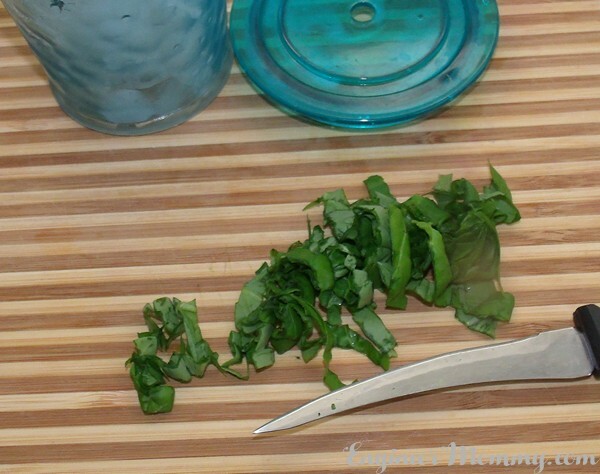 I keep a basil plant in my kitchen so I always have fresh basil ready for recipes. Basil is one of my favorite herbs of all time! 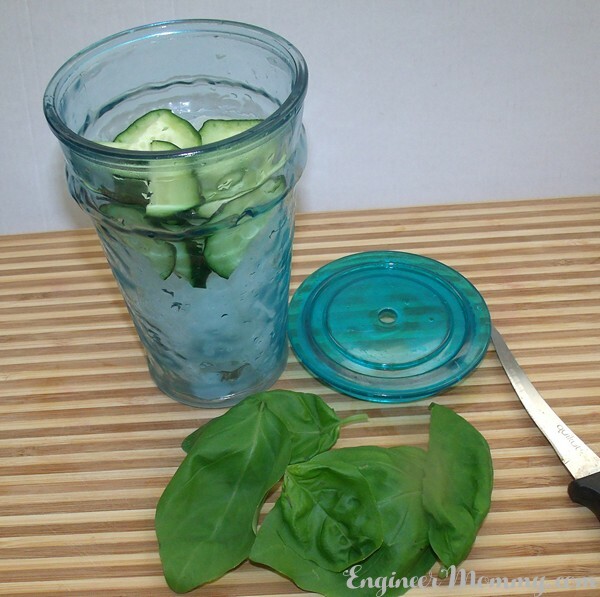 Add the cucumbers & basil to a glass cup with water & ice. This one is refreshingly delicious! I love the combination of the earthy basil and fresh cucumbers! 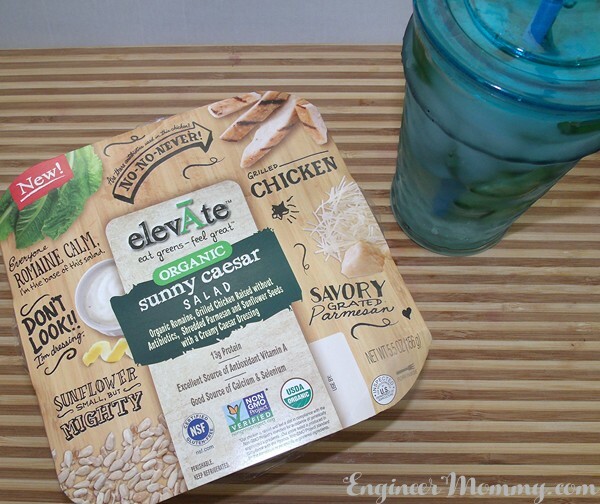 Another Ready Pac elevĀte Salad that I recently tried is the Organic Sunny Caesar variety, which was wonderfully tasty! Did you know that the elevĀte salads contain packaging that’s fully recyclable & printed with soy-based inks?! 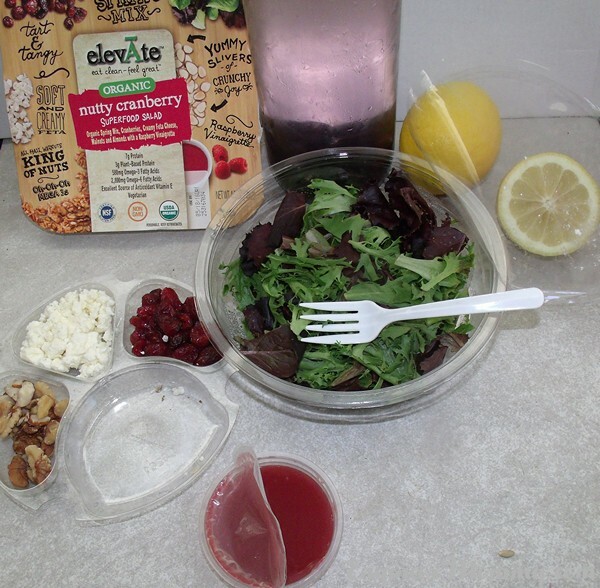 It’s easy to eat clean and feel great when enjoying an elevĀte salad. The Sunny Caesar variety features everything we love about a traditional Caesar salad but with nutritious ingredients and convenient packaging! With elevĀte salads, you can feed your body right and take the direct path to health & happiness! The salads offer so many different benefits, such as being vegan, USDA organic, sustainable and more. 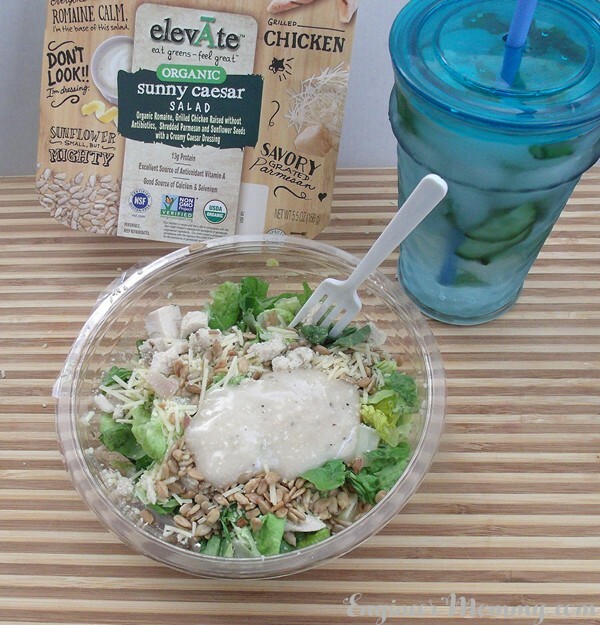 The elevĀte salads will jumpstart your journey to health in a delicious way! 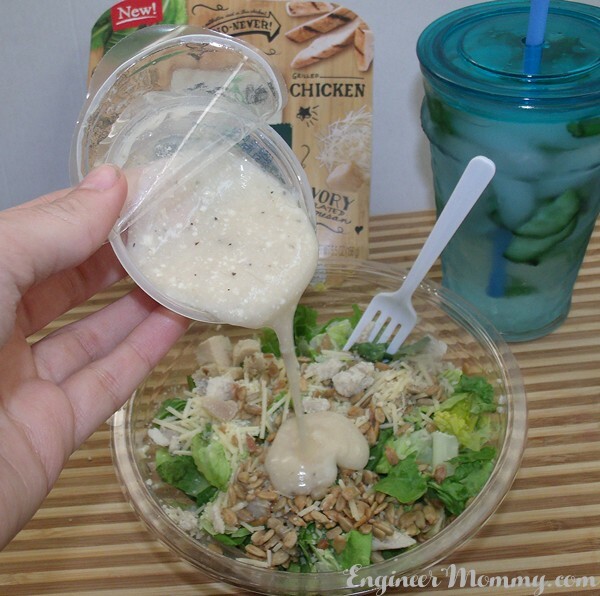 The dressing is so creamy & delicious! The elevĀte salad offers portable nutrition (in packaging that’s FSC Certified material) that’s convenient for everyday enjoyment! The elevĀte Sunny Caesar Salad with its ready-to-eat superfood ingredients is a wonderful complement to my Cucumber Basil Water! 1. Park farther from the store! This seems like a simple move, but when you do this regularly, you actually wind up doing much more walking on a weekly basis. All those extra steps really do add up! So the next time you pull into a parking lot, don’t look for the closest spot- look for the farthest spot! 2. Take the stairs! Here’s another simple way to get more physical activity in your daily routine. If you don’t already do aerobic exercise every day, choosing to take the stairs, rather than the elevator, is a simple way to get your heart rate up and burn some calories, too. 3. Drink plenty of water! Water is crucial to keep the body working optimally. Infuse water with various fruits, veggies & herbs (and a touch of sweetener, if desired) to stay hydrated throughout the day. Keep a bottle of water with you at all times so you’re tempted to reach for that when thirst strikes. 4. Get adequate rest at night! It’s not always easy to get enough sleep every night, but it’s important to try to keep a regular nighttime routine. It will give you more peace during the day and help you better tackle your day! 5. Consume fruits & veggies every day! Fruits & vegetables have vitamins, minerals and fiber that the body needs to function well. Add fruits & vegetables to every recipe you can! When you get home from the supermarket, consider washing the produce and putting them into small bags, so it’s convenient to grab some when you’re ready for a snack. To stay up-to-date on the latest news & promotions from elevĀte, visit them on Facebook: ElevĀte Superfoods , Twitter: @elevate_foods & Instagram: @elevatesuperfoods. Look for the Ready Pac elevĀte Salads at your local Wegman’s store! I found mine in the Produce section of the store! Now, learn more about how the Ready Pac elevĀte Salads are the perfect solution to staying healthy while on-the-go and tell me: Which variety of these salads would you love to try? 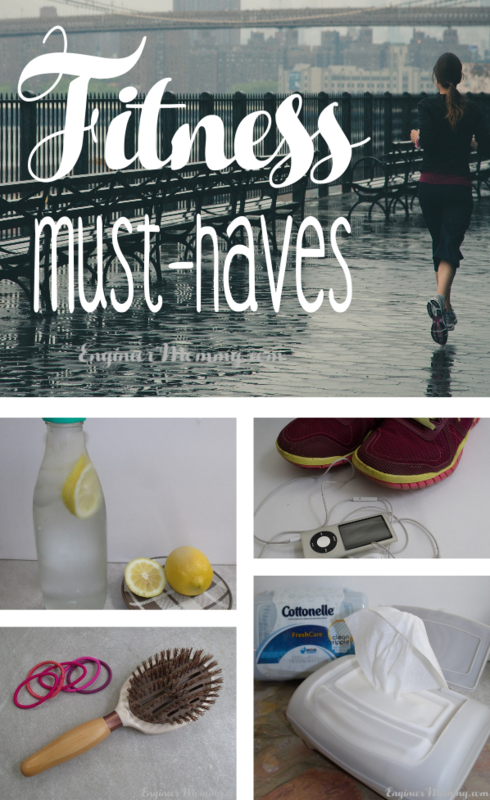 How do you stay healthy when on-the-go? I feel like I am always on the go. I really do try my best to drink lots of water and eat right on the go. I love cucumber and basil water. It’s so refreshing on a hot summer day. I’ll have to look for those salad kits also. I love the convenience of having everything together in one package. That super salad looks REALLY amazing! I haven’t ever heard of it, but after reading this and seeing the pictures, I want one! I haven’t seen these salad kits in our local grocery store but when we travel we try very hard to make sure that we are eating as healthy as we can. We bring extra water and stock up on fresh fruit as well. It’s easy to eat crap food but I would rather enjoy my vacation and not spend my time sick in bed. These are great tips. Being busy and always on the go it one of my biggest obstacles. Healthy does not come easy for me. I love to drink infused waters, just because I’m not a fan of plain water. 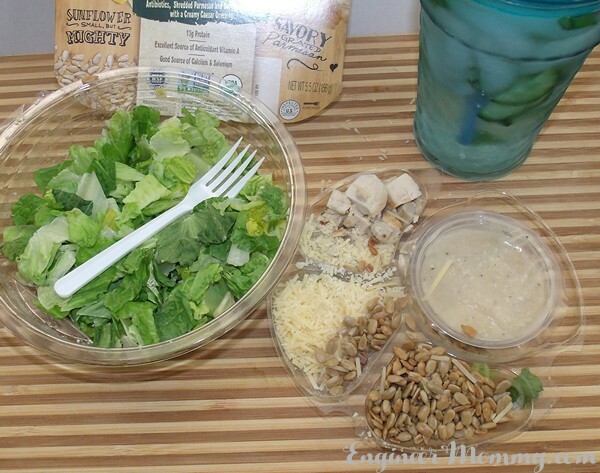 I would love to try the Ceasar salad, it’s one of my favorites and I like how it has sunflower seeds. Those look like interesting drinks! I am always running around like crazy and usually I just drink plain water it will be nice to have a little flavor in it. 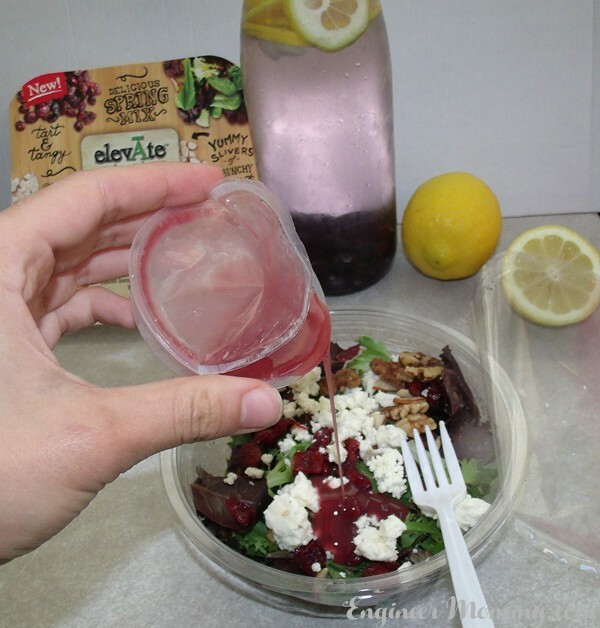 I have been eating Ready Pac Bowl salads for years and now also the new Elevate salad recipes. One tip to try, is to mix the dressing first with the lettuce greens, then add the toppings. The taste of all of the ingredients remain themselves and don’t take on the taste of the dressing. The cheese tastes like cheese etc… Love these Ready Pac Salads. Those salads look amazing and they would be perfect for my Mom. 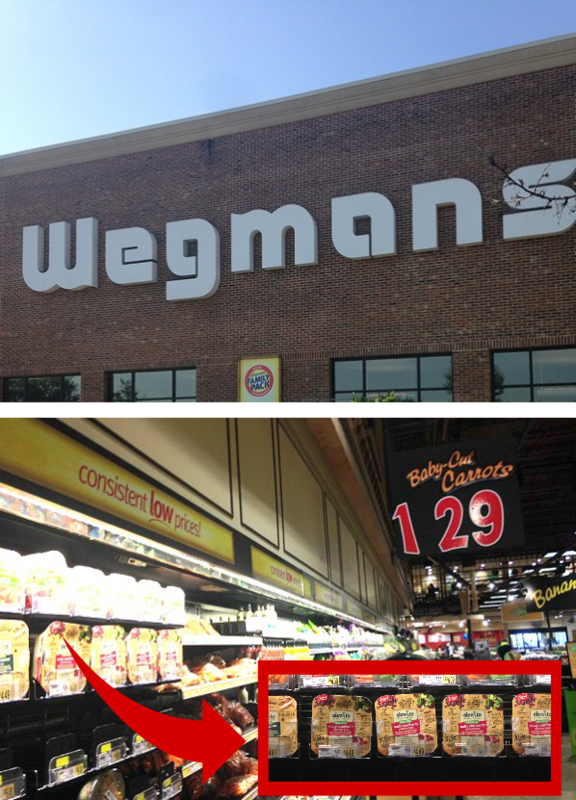 I wonder if they sell them anywhere else, I don’t think we have Wegmans around here. 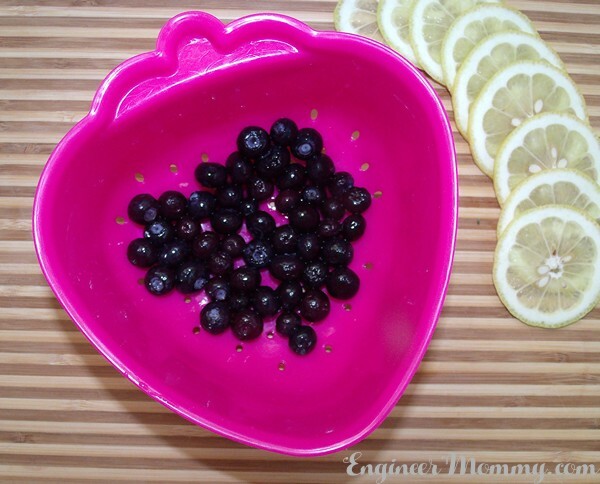 Fruit infused water is a great way to stay hydrated and satisfied at the same time. The variety of salads look super delicious and I love that they are organic. I love infused water. It’s my favorite way to drink water….and probably the only way I will drink water. I love drinking infused water, but I hardly ever make it. I like mine with oranges. I would totally eat more salads if I could get them pre-made! I’m so lazy! These tips to stay healthy while on the go sound excellent! 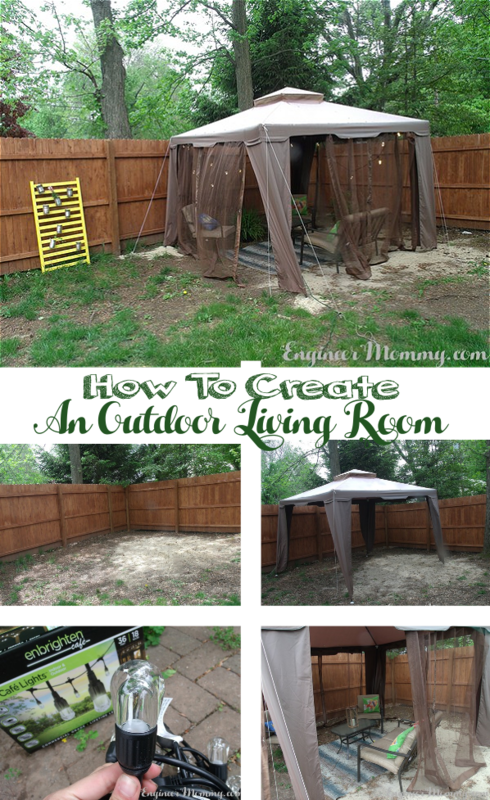 I love all of these ideas and will have to start using some of them. These salads look really good. I looked for them when I was at the store today and couldn’t find them. Hoping the other store does. Can’t wait to try them. These elevAte salads look like something my kids would really love. I would not mind trying them without the dressing because I don’t eat dressings on my salads. The drinks look interesting and they are something I am going to have to try for sure. Thanks for sharing the recipe. Your infused drink looks so refreshing. Can’t wait to try out the recipe. So glad I saw this today! We have been on the run so much lately, and since having my first baby, I am really struggling with weight loss. I need to start something new. These salad kits look really good. The infused water is one thing I definitely do to make sure I get enough water in during the day.